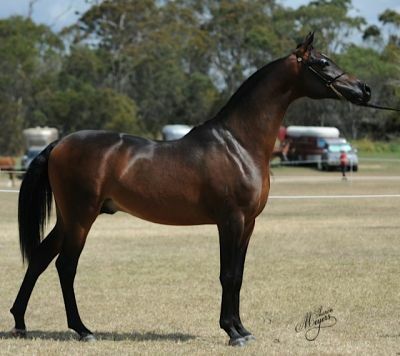 The Katalyst (EKS Bey Al Gazal x Passionate Kisses) was Reserve Champion Intermediate Colt at The Arabian Valley Gala Show, at placed second at The Queensland Arabian Horse Challenge Show, both shows under international judges. We eagerly await his first foals this season and are offering all our broodmares for sale, three are in foal to The Katalyst. Five shows for The Katalyst for two Champions, a Reserve Championship and a second placing. 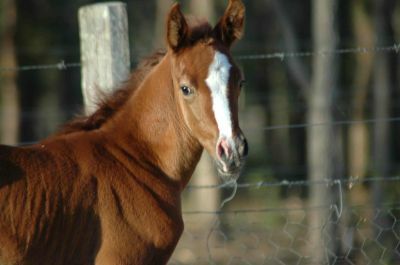 Marywood offers for sale most of our broodmare band as we are winding down our stud. 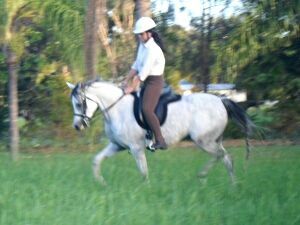 EvieMA has been shown on the local hack show circuit recently with results of Reserve Champion Galloway, 1st Open Galloway mare, and Reserve Youth Rider to name a few. Also she has become a 'Beach Babe'. 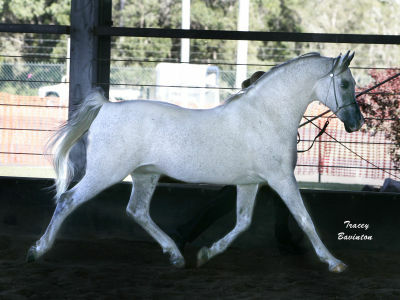 The Katalyst at his first ever show was awarded Champion Arabian Exhibit, (Reserve was Evie MA), and won a very large and competitive all breeds futurity class. 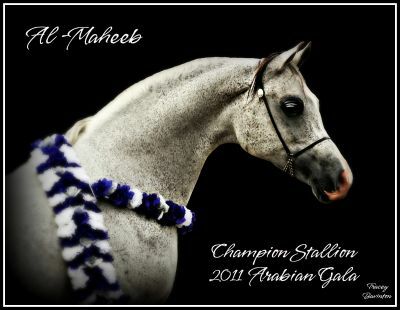 He then backed up the following weekend to be awarded Champion Arabian Colt/Stallion at the Spring Affair. 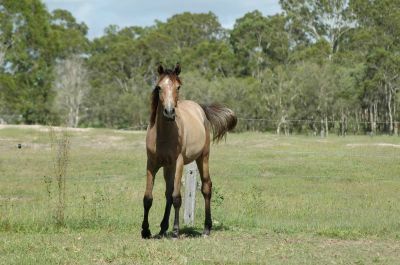 it is with great sadness that I laid to rest out exceptional Arabian Warmblood filly C What's Amazing due to a tragic paddock accident. 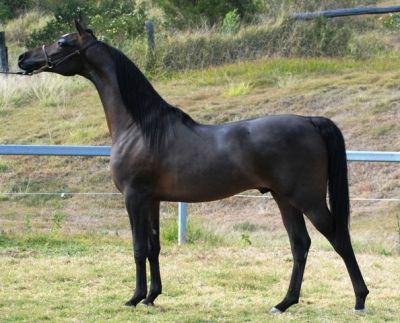 Petrina Gear with Just Magnetic (Al Maheeb) - 1st Anglo gelding 2yrs and under; Gala Show and Champion Junior Anglo Male at the Challenge (second year in a row). 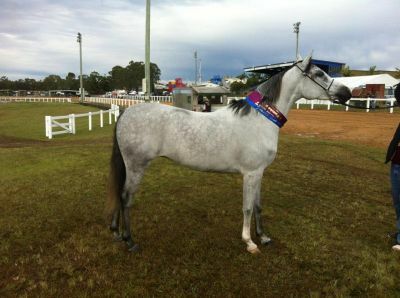 Evie MA (The Akomplize x Marywood Amazing Grace (Al Maheeb)) went Champion Arabian Exhibit at the Fraser Coast Agricultural show. 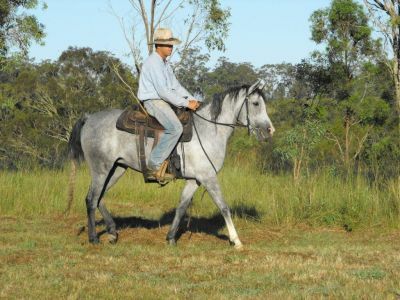 This young mare has from three outings won two championships and a reserve, and we look forward to her debut under saddle. 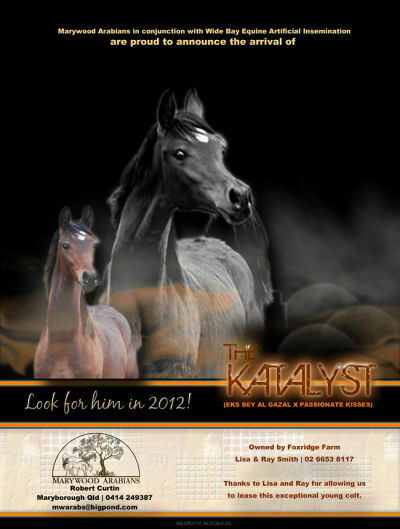 The Katalyst arrived at Marywood Arabians on lease from Foxridge Farm. 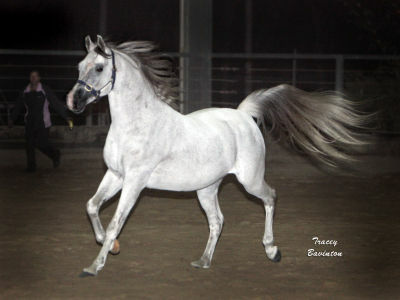 Sired by two time US Reserve Champion stallion and double Gazal Al Shaqab son EKS Bey Al Gazal. 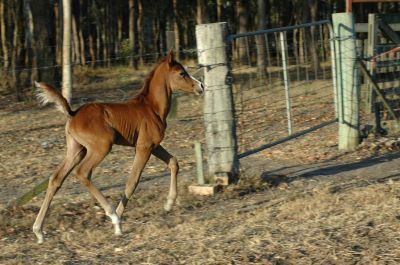 Marywood Amazing Grace presented me with a gorgeous chestnut filly by outstanding Warmblood stallion 'What's Up C' on 21st - 3.5 weeks overdue. 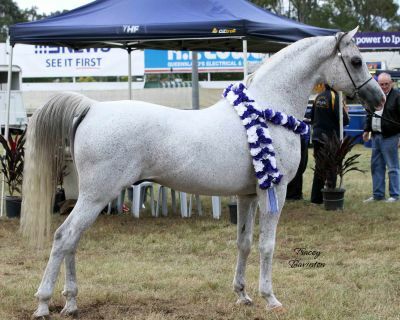 Al Maheeb returned to the show ring at the local Fraser coast show to take out Champion Arabian exhibit with his Granddaughter Evie MA going reserve. 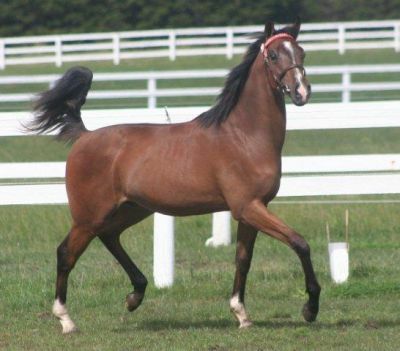 Also at the show was Just Magnetid a yearling anglo sired by Al Maheeb who won Champion Partbred Arabian. 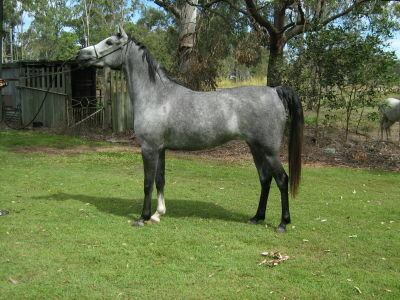 Marat MA also won his yearling class for his new owner Shania Cameron. 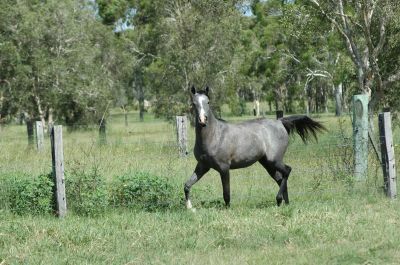 Marywood Amazing Grace has been positively tested in foal to Dutch Warmblood Stallion What's Up C (Balmoral Warmblood Stud) for a 2011 foal. 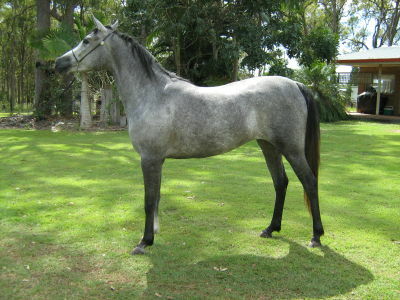 Palee has been served by black Riding Pony Stallion Legacy of Churinga and hopefully will deliver a 2011 foal. 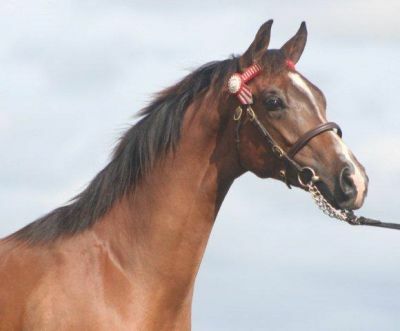 Congratulations to Petrina Grear on the purchase of The Al Maheeb anglo colt/gelding Just Magnetic (Henry)I wish you all the best with 'Henry' in the future. 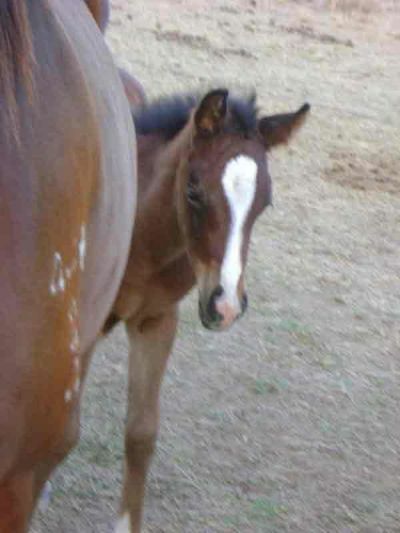 Congratulations to Barb Evans, Trevor Anderson and Sharie Baldwin on the birth of the colt foal from Kyarnda Lodge Patrice by Al Maheeb, all reports are that this little fellow ticks all the boxes. Just Magnetic (pend) 'Henry' has joined the Future Farms show team for the up coming southern show season. I look forward to watching this colts progress. 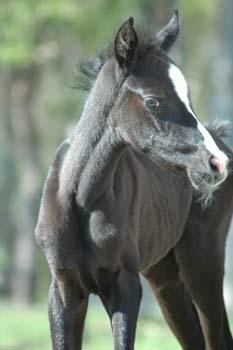 Below are photos of the Anglo colt born in Oct 09, 'Henry' is growing exceptionally well. 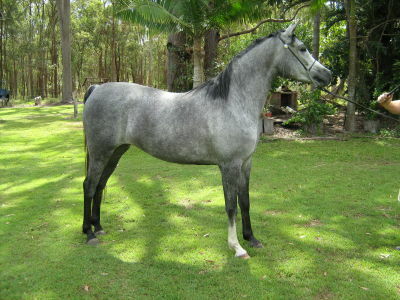 He is developing into a very nice young horse and is beyond our expectations from this breeding. 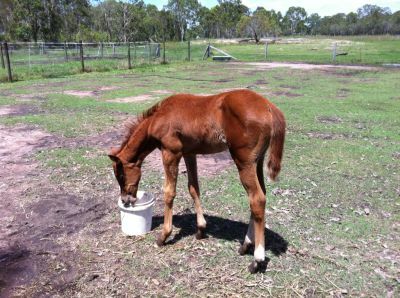 Lorna Young has informed me that my SE mare Jayay Faydal presently on lease to Lorna has foaled a pretty chestnut filly on Boxing day. 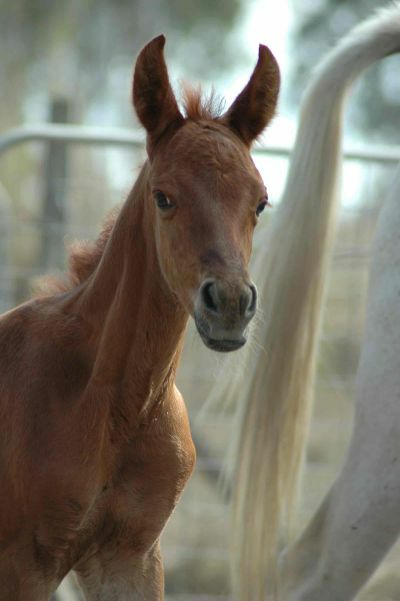 This filly is the result of breeding Faydal to her Black SE stallion ARABIAN PARK IBN SAWEEHA (Ansata El Hakim imp USA X Saweeha imp Ger). I look forward to seeing how this girl grows. Unfortunately Palee was only pretending to be in foal even though she followed all the normal rules and showed signs at the right time. This is disappointing but we will try again next season. 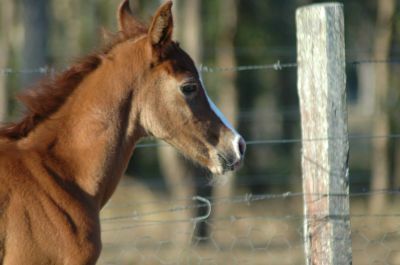 Kassila presented me with a chestnut colt with minimal white (just 4 small socks) late on the night of the 8th December, he is a very energetic and playful boy. 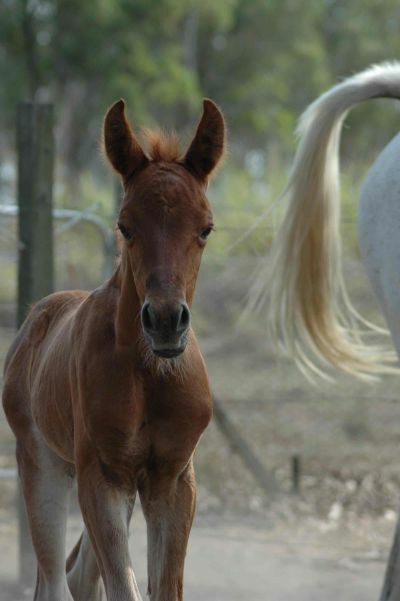 This foal will be called MaratMA (pending). 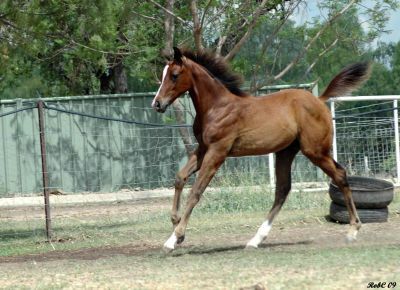 This foal will be for sale at weaning. Just Proud (TB) was sold earlier this year and has just delivered her new owners a healthy, very big and active bay colt on the 13th. 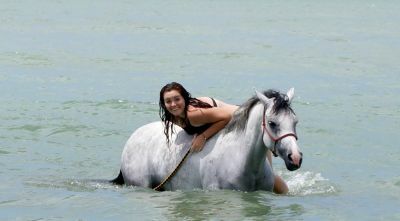 Unfortunately Kyarnda Lodge Patriice slipped her foal through winter, but has returned to Al Maheeb this season. Collected MW Amazing Grace and Kassila today from Caramea Stud, a big thank you to Kim Cox for accomodating these mares whilst repairs were done to my flood damaged fences, also for allowing me to breed them to Malmsbury Saki. 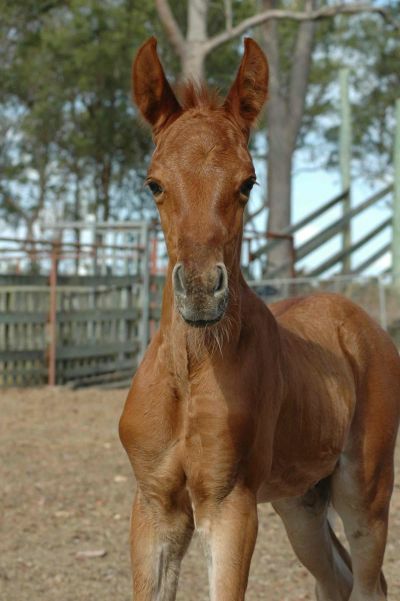 Both are obviously in foal and due Oct-Nov and I welcome expressions of interest in these foals. Well after 9 years out of the show ring I decided for a bit of fun to take Al Maheeb to the A Class Arabian Triumph Show on the 11th, and he achieved Reserve Champion stallion and was the winner of the liberty class, not bad for the old fella approaching 18yrs old. 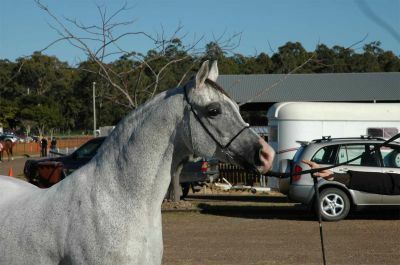 Thanks to Sharie Baldwin for showing 'Alfie' ,it has been 11 yrs since the two of them were seen in a show ring together. 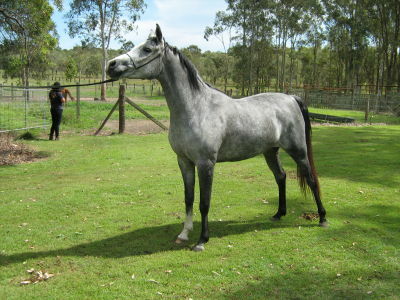 The thoroughbred mare Just Proud as been sold to in foal to Al Maheeb for a 09 anglo foal, best wishes to her new owners. Kyarnda Lodge Patrice has also visited Al Maheeb this month, and I looked forward with Barb and Trevor to the resulting foal of this mating (here's hoping for a filly). 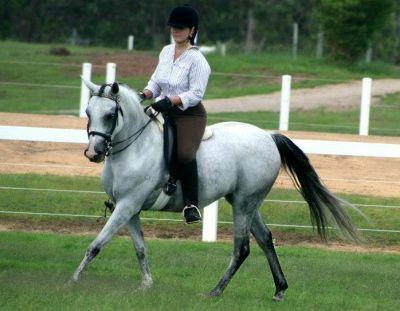 Jayay Faydal and Dara park Aliha Kamar are presently on lease in NSW. I visited Reid River this month to view the foals of The Akomplize and I am very impressed with how they are growing and look forward to hearing of the success Keith and Melissa will no doubtably have with his progeny. Al Maheeb will also stand this season at stud to a limited number of mares, this will be 'Alfie's' first public season in queensland for 7 years. I have decided that due to the loss of The Akomplize that the mares brought specifically to breed to this exceptional individual will now be put on the market and the search for a special mare to compliment Al Maheeb and breeding in a new direction be sought. 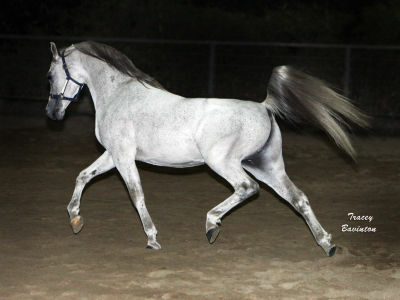 All the SE mares are now for sale, as is one of the Al Maheeb daughters. Kassila foaled an exceptional bay filly by The Akomplize, making this filly a double PVA Sonbali (impUSA) being by a Sonbali son out of a Sonbali granddaughter, and double Kapehr (impUSA). 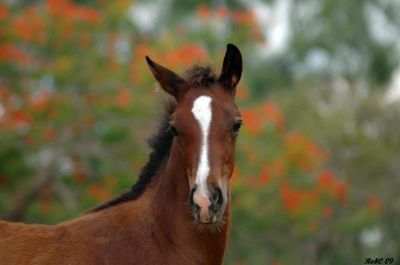 The future breeding plans of Marywood arabians were shattered on 22nd November 2007 when I received news that my precious boy The Akomplize had passed away. 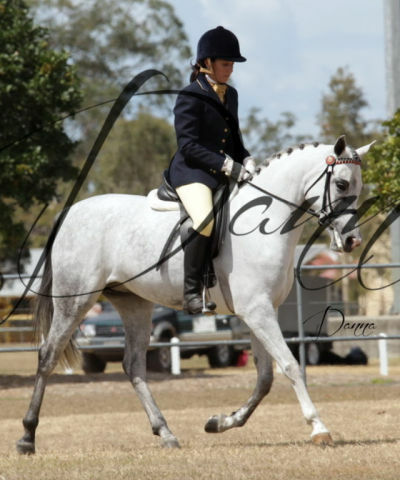 At only 9yrs of age this exceptional individual was just starting to make his mark as a breeding stallion. The absence of this stallion will be felt here at Marywwod for many years to come. RIP my good friend. 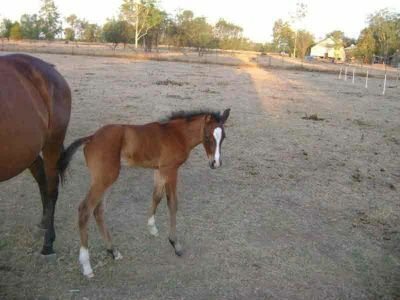 Our first foal in six years, and its a filly. Combining the lines of our two stallions, Al Maheeb and The Akomplize. 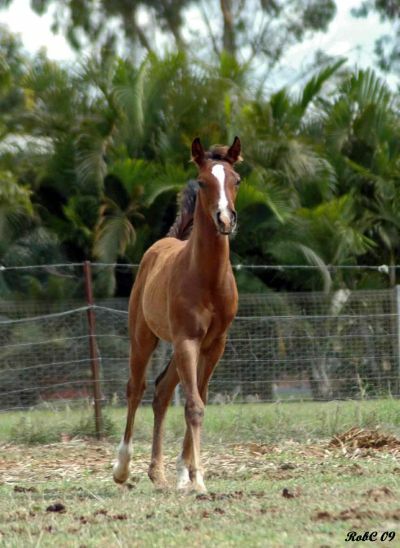 We are expecting at the end of November 07 another purebred foal from Kasiila, this foal will be a double cross to PVA SOnbali (imp USA) as the sire is The Akomplize. It is hoped that we will return to the show scene in 2008.